2016 was a fantastic year for girls sports at Bountiful High School and senior Kennedy Redding was right in the middle of it all. The two-sport star delivered under the brightest lights and that is story No. 13 in our TOSH Top 30 stories of the year countdown. 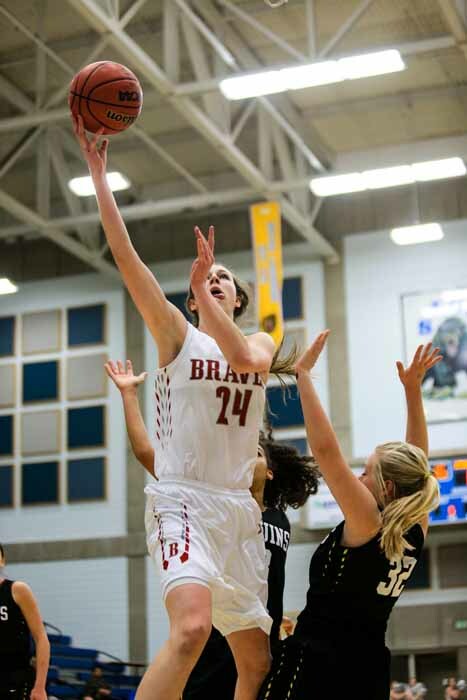 Things did not go as expected for 6-foot-4 center Kennedy Redding and the Bountiful Braves at the 2015 girls basketball state tournament. Bountiful entered the postseason unbeaten and as a favorite to win the 4A state title. The playoffs ended two games early, with a quarterfinal exit after an overtime loss to Maple Mountain. That loss launched Redding, then a junior, onto a trajectory that created not one, but two, state titles for Bountiful during the 2015-2016 school sports year, but it wasn’t easy. It began during volleyball season when a coaching controversy brought in a replacement head coach early in the season to lead a team that had the talent to win it all. Behind the senior leadership provided by Redding and her teammates, the Braves fought through the adversity to build a 22-4 campaign (12-0 in Region 5) that ended when they knocked off Timpview 27-25, 25-17, 26-24 to win the 4A state championship. Redding, a 4A middle, will play volleyball at Brigham Young University in the fall. 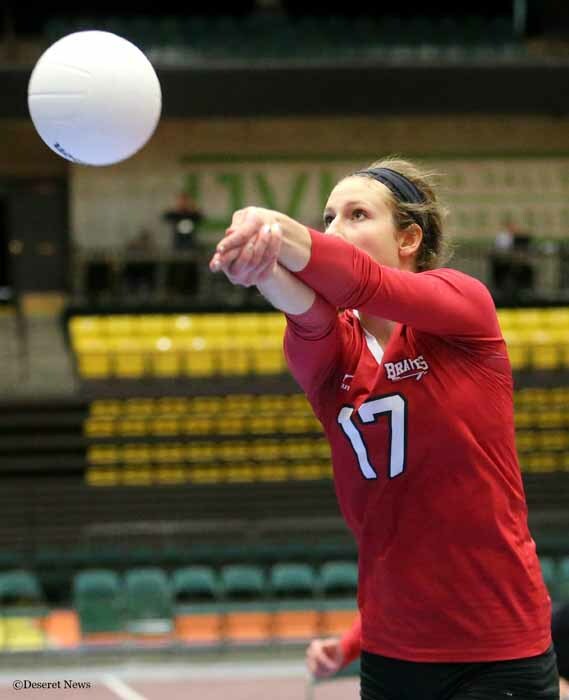 She had 13 kills and 10 blocks in that state finale and earned 4A volleyball MVP status for her special year. 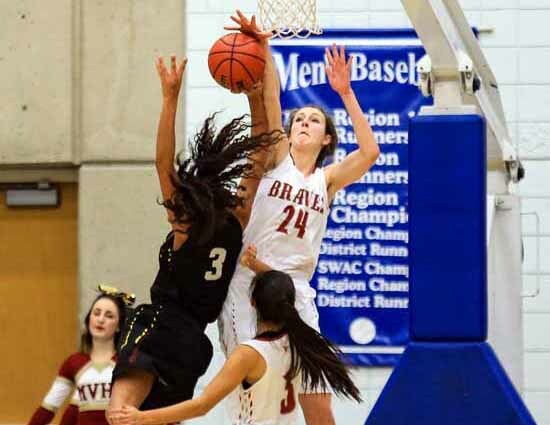 Burton and the Bountiful girls basketball team were the beneficiaries of more big-time pressure performances from Redding as she made the 2015 tournament a distant memory by leading the Braves to the 2016 state basketball title. The team was undefeated until the final three games of the regular season, but after Redding suffered a concussion and missed those three contests, they entered the postseason on a losing streak. It was a losing streak that quickly ended as Redding absolutely dominated the postseason. For the season, a year in which she was named Ms. Basketball by The Deseret News, she shot 54 percent from the field while scoring 23 points, grabbing nearly 14 rebounds and blocking four shots per game. That she was the best in the state and led her team to state titles in two high-profile sports makes Redding’s performance our No. 13 story of the year.